Academic and Athletic Development is the parent society for the sports programs at Donnan and Vimy Ridge Academy. This includes Hockey, Lacrosse and Sport Fit at both campuses, as well as Donnan BJJ and Vimy Baseball, Softball and Outdoor Pursuits. These programs operate in partnership with the Edmonton Public School Board to deliver core curriculum along with sport-specific programming with Academic and Athletic Development Instructors. The best places to start are our websites Donnan.ca and VimyEdmonton.ca. There you can find out more information about our programs and upcoming events, sign up for a free shadow day or apply to a program. Student-athletes at Donnan and Vimy are BECOMING MORE, visit us and find out why. On Saturday, June 20th from 10am-2pm, Academic and Athletic Development will be hosting a Garage Sale, Raffle and BBQ at Vimy Ridge Academy (8205-90ave). Academic and Athletic Development is the not-for-profit parent society of the sports alternative programs at Donnan and Vimy including Donnan/Vimy Hockey, Lacrosse, Sport Fit, Donnan BJJ and Vimy Outdoor Pursuits. The Garage Sale will feature pro-stock hockey sticks, under armour clothing as well as lacrosse equipment and various other items at massively discounted prices. There will be multiple raffles at the event as well, with items such as signed hockey jerseys, along with lacrosse and sport fit themed packages. And to keep you fueled for the entire event, AAD staff from Donnan and Vimy will be cooking up your favourites on the BBQ. This event is open to the general public. 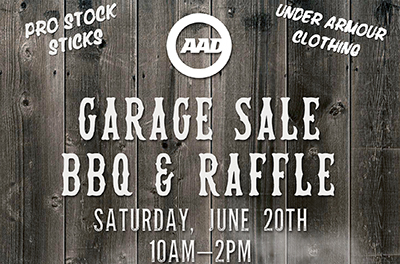 Funds from the Garage Sale, Raffle and BBQ will go to support AAD programming. For a sneak peak at some of the items that will be available at the Garage Sale please visit the AAD Store. Vimy Hockey is in the midst of some exciting changes. Ryan Marsh, Vimy Hockey Campus Director for almost 10 years, has been plucked from our ranks by the Edmonton Oil Kings and new bench boss (and former Vimy Hockey Teacher/Instructor) Steve Hamilton. Mr. Marsh will be the new Assistant Coach for the Oil Kings, who will work to defend their Memorial Cup Championship this season. 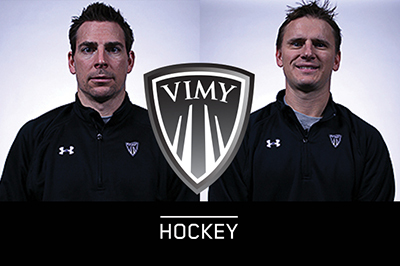 Mr. Marsh will still be working with Vimy Hockey in an Associate Director role and will continue to provide Vimy Hockey and it’s student-athletes with his knowledge and expertise gleaned from running the premiere Hockey Academy in Alberta for almost a decade. Academic and Athletic Development would like to thank Mr. Marsh for his years of service and dedication to Vimy Hockey and the student-athletes of Donnan and Vimy Ridge Academy. AAD is also extremely proud to announce Nathan Dempsey as the new Campus Director for Vimy Hockey. Mr. Dempsey is a former professional hockey player with stops in Europe, the AHL and the NHL, including time with the Toronto Maple Leafs, Chicago Blackhawks, Los Angeles Kings and Boston Bruins. Because of his hockey resume, Nathan has a unique opportunity to articulate to Vimy Hockey student-athletes what it takes to get to the highest levels of hockey. Mr. Dempsey is passionate about not only building sport-specific skills, but also the character and other mental skills required to create a complete student-athlete. If you have any questions for Mr. Dempsey he can be reached at Nathan.dempsey@epsb.ca. 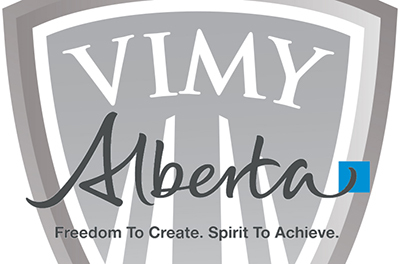 Vimy Ridge Academy was announced as one of the 18 schools in the province that have been approved to receive a portion of a proposed 500 million dollars in provincial funding to update their facilities to modern standards and add functionality to the school. There are 5 EPSB schools that will be modernized as well as 4 Edmonton Catholic Schools, and 9 other schools were approved in Calgary. Board Chair Sarah Hoffman also announced during a press conference that this modernization project for Vimy Ridge Academy will coincide with the development of the City of Edmonton’s Bonnie Doon Campus Park Project. The project will include a renovation of the Bonnie Doon Pool, the addition of Twin Arenas, improved parking for the entire campus and a redesign of the outdoor recreational space on campus. The Bonnie Doon Campus Park project would essentially position Vimy Ridge Academy as another multi-use recreation facility for our local community. This is huge news for our current and future student-athletes and is a great example of how Vimy is consistently BECOMING MORE.